Among the various continents of the world, Africa presents some of the best honeymoon places for newlywed couples. There are amazing honeymoon destinations which are well spread all across the continent, and couples have a wide range of places to choose from for their honeymoon getaway. Among the most amazing locations include Mauritius, Ghana, South Africa, Egypt, Gabon, Seychelles, Tanzania, or anywhere else between the borders of the continent. Besides, there are wonderful sceneries and outdoor tourist attractions such that the vacating couple won’t have to spend the entire honeymoon session cooped up in restaurants and hotel rooms. It is beyond reasonable doubt that your choice to explore Africa for your honeymoon, is deemed to be nothing short of fun and a lifetime of memorable experience; a more apt way to jump-start your marriage vows. Here is the list of the 10 romantic honeymoon places you can visit in Africa. Read through and make your choice. If your wedding is scheduled to happen anytime between April and October, then Johannesburg is definitely one of the best destinations to settle upon for your honeymoon. This city is favored for a vast array of fun experiences that includes shopping, modern set-up, heritage and lakes. This carnival city is a world of entertainment on its own and the core of South Africa’s romantic cuisine. The Emmarentia dam and botanical garden with walkways and tranquil gardens, are some of the fun spots in South Africa that are more appropriate for a fun honeymoon experience. This locality in Kenya offers an adventurous fun experience, intertwined with an incredible romantic environment for honeymooning couples. If you have a predilection for a wildlife adventure, then you should start by camping at the Tortilis camp near Tanzania’s border, and enjoy a clear view of the snow-capped Mt. Kilimanjaro. You are more likely to enjoy sharing your honeymoon moments in the camp tents, or as you walk in the bushes that are found outside the boundaries of the game park. Amboseli is also an elephant research center, and you will be seeing the elephants from a touching distance. Buffalo, zebra, giraffe, gazelle and other animals abound in the park and hippos live out in the open waters and swamp channels. One shocking fact that makes this destination is that it offers a mixture of excitement and anxiety; the elephants that live here are surprisingly relaxed around people as they were not so much of victims of ivory poaching and have some of the largest tusks ever imagined. Sharm el-Sheikh is a popular resort town, port and one of the Best Romantic Honeymoon Places located in South Sinai Egypt. It is accredited as one of the best driving destinations along the Red Sea. This destination is ideal for couples that would want to enjoy a thrilling honeymoon experience that entails water sports, shopping, beach experiences, desert safaris and luxurious hotels with a clear view of overlooking bays. Couples are advised to visit the deserts for camel trekking, horse riding and to enjoy a clear view of the biblical Mount Sinai. This destination offers the Saharan sands and the Mediterranean Coastlines for the newly wedded couples to explore for a sensual and romantic experience. This is together with an exciting sightseeing experience of the Northern city. This region has recently become a major attraction for couples who enjoy mountain trekking, camel riding, luxurious spas, buggy riding and desert excursions. To add-on, the Moroccan cuisine that consists of a roast lamb with raisin and onion sauce and deserts that are composed of honey, cinnamon, and almonds, will perfectly create more fun for your honeymoon. This island lies several miles from the Tanzanian coastline. Couples that are exploring this locality for their honeymoon will definitely enjoy the beaches that make up a bigger portion of the island, the warm blue waters and the picturesque villages which all together make this place one of the top African honeymoon places. Pembe island offers unique climate and vegetation from those of Zanzibar, and both islands come pertinent in offering you a memorable honeymoon experience. These include the dolphin tours and the ocean cruise for both the groom and the bride. The Bazarutu archipelago, Maputo, and Quirimbas, are some of the best honeymoon destinations in Mozambique. The Bazarutu island is, however, one of the best attractions for couples that would want to enjoy the sandy beaches and the coconut trees surroundings. It is the largest island in the Bazaruto Archipelago and in the Bazaruto National Park of Mozambique and it provides one of the best camping sites for a romantic feel. This island borders Madagascar and is more appropriate for couples that are looking for a private island to spend their honeymoon. The island has a thousand and one exotic sceneries and spectacular beaches that are far-fetched to leave you with nothing less than a fun experience. Part of honeymoon places to see and do include: Aride Island Nature Reserve, Cousin Island Special Reserve, La Plaine St. Andre, Silhouette Marine National Park and Vallée de Mai (a UNESCO World Heritage Site), just to mention a few. This popular lake in Malawi, has clear waters, spectacular mountain peaks and exotic landscapes that add up to the fun in Malawi. 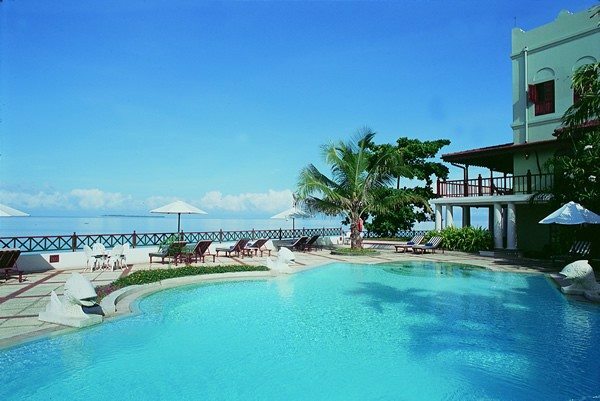 It is one of the popular honeymoon destinations in Africa. Furthermore, Lake Malawi is the third largest lake in Africa and one of the Great Rift Valley lakes. Couples can enjoy the thrill of bird-watching, scuba diving and snorkeling in Malawi. Couples that adore nature would find this destination more appealing. Victoria falls in Zambia have an array of activities for the bride and the groom: canoeing, kayaking and bungee jumping. The region also has a modern set up of restaurants and hotels that serve the best of the Zambian cuisines; that might blow up your fun experience to the zenith. Namibia was ranked among the top 10 destinations that are soft to your pocket, despite being versed with beautiful sceneries and adventures. Couples can take advantage of the friendly budget and tour Etosha national park to enjoy wildlife safaris and see the famous big five in the park. The amount that you are to spend in Namibia for your honeymoon expenses is far much less than the memorable experience that you are likely to have in this destination.